Robert F. Sylk is engaged in the development and management of viable Casino/Hotel/Resort business opportunities worldwide. 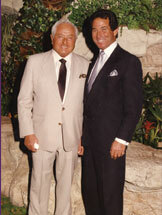 He has influenced both corporate casino companies in the United States, Nevada and the Caribbean as well as Native American casinos in California. His expertise covers casino development, ownership, management, planning, operations and marketing. His reputation and ability to develop and maintain loyal customers is well known in the industry. Robert is committed to long term investments with a hands-on approach to management and operation of projects, which is founded on principles that remain untouched through years of successful operations. His family was part owner of the original El San Juan casino/hotel in Puerto Rico. His management team consists of executives with over 50 years combined international business development experience and over 40 years of highly successful development, sales, financial, marketing, management, and operations background in the gaming industry. 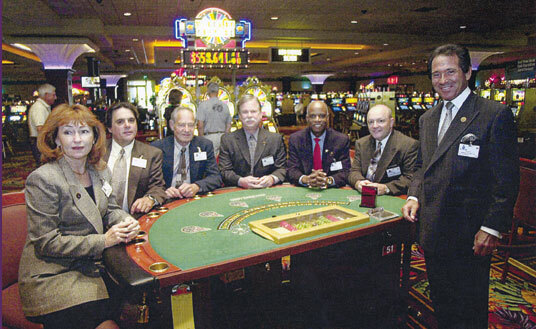 Article in every gaming magazine 2003 regarding the Player Development Department at the Agua Caliente Casino - Click Here for article text. Article in Desert Sun and other gaming publications about - how to deal with the house advantage - Click here for article text. Howard Hughes changed Las Vegas - Click here for article text. Blackjack Strategy at California Indian Casinos - Click here for article text. Robert Sylk has over 40 combined years of management, gaming, Casino Marketing and Table Game experience with proven accomplishments in Decisive problem-solving leadership, Building strong productive relationships, Dynamic Operation Planning centered on meeting and exceeding corporate goals, and Developing and leading high-performance teams at Mirage Resorts, Hilton Properties, The Venetian, El Dorado, Agua Caliente and other Casinos. As Director, he created. designed and implemented the Player Development Department at Agua Caliente Casino to a Casino drop of over $ 300,000,000 after only one year. A front-page newspaper article regarding this unique accomplishment also appeared in every gaming magazine nationally and internationally in 2004-2005. Robert Sylk is a well organized individual who possesses excellent people skills that have established outstanding leadership qualities and respect amongst peers and clients. Developed, maintained and grew a loyal and profitable customer base consisting of over 200,000 players across the country, while exceeding theoretical projections in a highly competitive field. Robert has led Executive Management Teams requiring unparalleled leadership, planning and negotiation skills focused on attracting highly qualified and motivated customers and team members. Mr. Sylk concluded an executive position in the gaming industry as President/CEO of Neptune International, L.L.C., an offshore casino. www.neptuneinternational.com, 2006 - 2008. Robert Sylk is currently President and CEO of Olympus Casino and Resort, Las Vegas, Nevada, a $4 billion casino set to open 2017. Robert's trained team of hosts at the Agua Caliente Casino in Rancho Mirage.